We had a crazy busy week (as I'm sure you did, too) and I wouldn't have it any other way. Here's a look at some of what we were up to! The flip books were a freebie from the Applicious Teacher. But we added our own spin with the faces and hats. Later in the week the children made these foam wishing wands. They wrote "Wishing You a Happy New Year 2015!" in felt pens. The next morning we played "May There Always Be Sunshine" and danced around the classroom with our wands, wishing our friends something fabulous for the new year. Everyone agreed it was TONS of fun! On Friday we continued with the New Year theme and did a combination art/experiment lesson to make fireworks. As you can see from the pics we used white glue, salt, and food colouring mixed with water. Hope to see you there and have a blessed New Year! 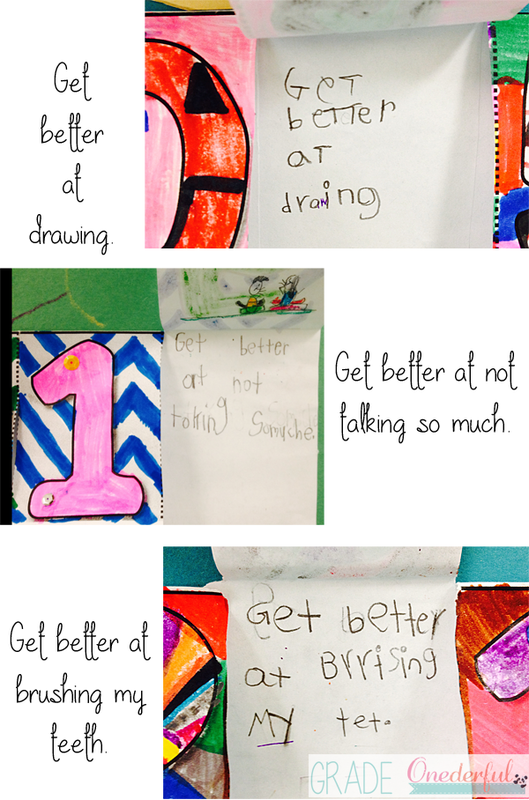 Love the New Year's resolutions and the dancing to "May there always be sunshine." I'm pinning both for next year! Happy New Year!! Happy New Year to you, Lyn! Love your New Year party kids - and the dancing - and the fireworks. No wonder you had such a fun first week back. I know what you mean about short weeks! It's weird how they can mess things up. Glad to hear you have a great group of kids! 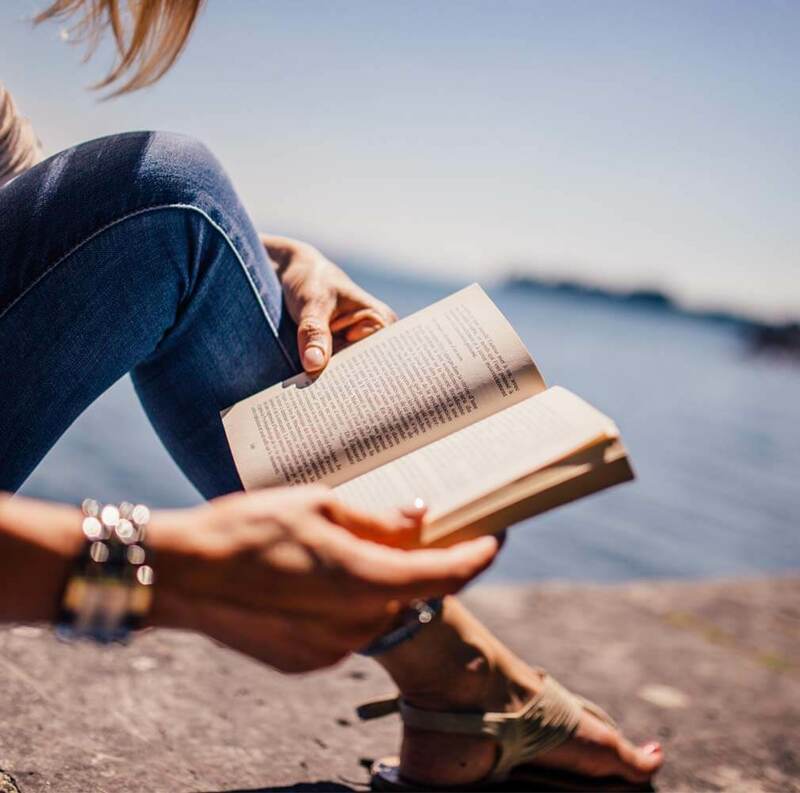 What great activities! Love their goals! Yeah, I once had a student write for their school goals to learn how to bowl! Okkaayy. 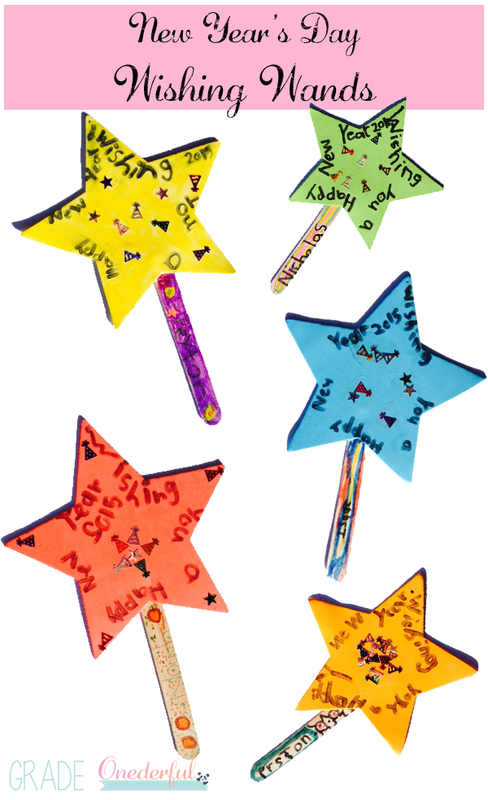 :) I also love your wand singing-what a wonderful classroom community activity! Thanks for stopping by, Joelle. Bowling...haha! I guess it's the nature of grade one. Thanks, Tara! I'll definitely do that again. I can just imagine the joy while singing and "wanding" around the room! What fun for celebrating the new year!!!! 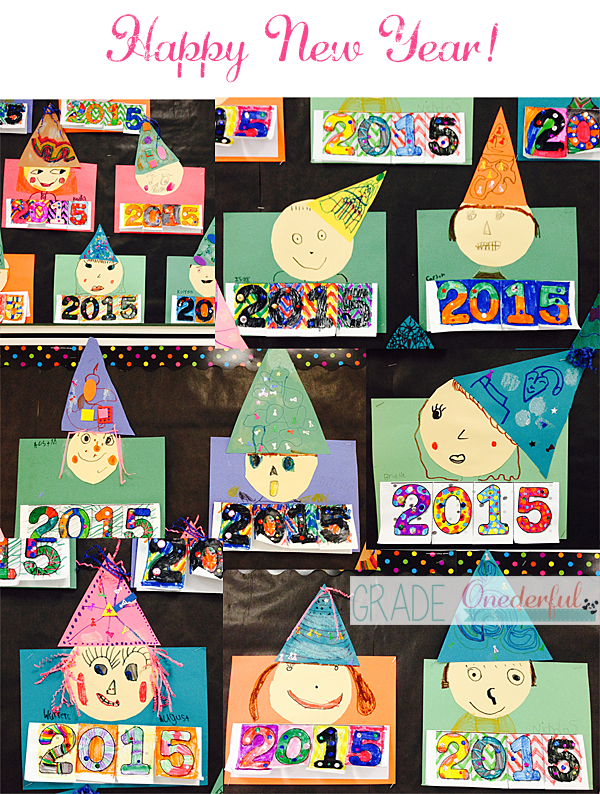 The 1st graders in Glen Rose did a project like your 2015 resolutions with the faces and hats. I have really enjoyed walking through the hallway and seeing them all lined up along the wall - faces laughing and cheering as I pass! Fabulous! You create such a joyful room for your little ones!!!! Thanks for sharing all that JOY! Happy New Year to you! Thank you so much, Rhythm! Happy new year to you, too!